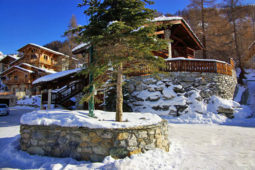 Situated at the foot of the Solaise slopes, with skiing to and virtually from the doorstep, and just a 10 minute walk from the village centre, Chalet Genevieve boasts one of the most desirable locations in Val d’Isère. 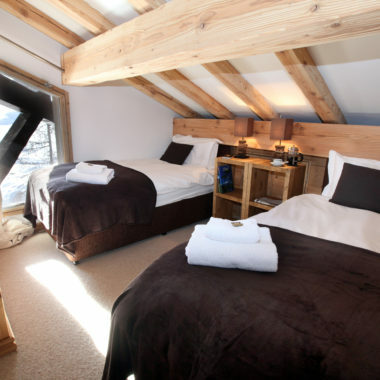 The chalet provides high quality en suite accommodation for 10 people, a spacious living area with log fire, large terrace and hot tub. 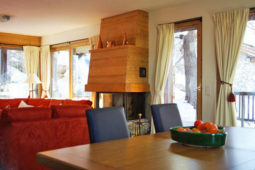 Good service is at the heart of the Ski Savoie Fayre experience. 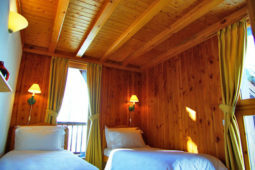 Our top priority is that you feel totally at home and want for nothing. Jenny uses all her experience and training at Leith’s School of Food and Wine to create a varied and tasty cuisine. 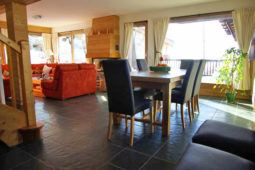 The day starts with a cooked breakfast (continental in the summer), cereals and breads, fresh fruit, yoghurts and freshly-squeezed orange juice. 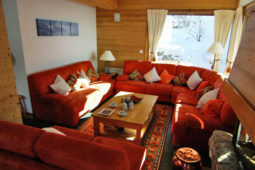 After skiing you can relax with tea and homemade cakes but make sure you leave room as a luscious four-course dinner awaits. Select wines are served throughout, followed by coffee and chocolates. 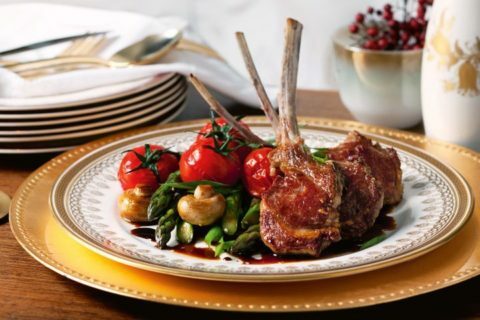 One day each week, on our day off, we lay out a buffet breakfast, afternoon tea and cakes and you are free to sample one of Val d’Isère’s many restaurants for dinner. The service does not stop at just cooking. We want you to get the most out of your holiday. 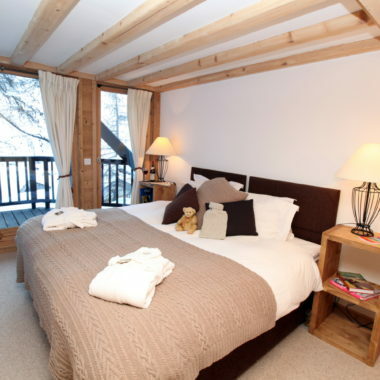 Jenny is an experienced skier and has worked extensively for the Ski Club of Great Britain. 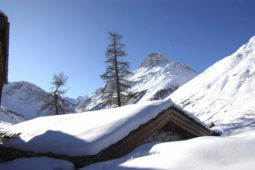 She can provide the very best advice as to where to find the best snow and slopes suited to each individual’s ability. 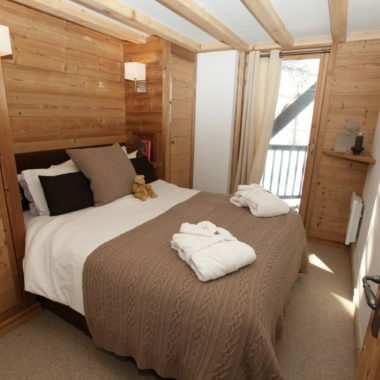 Chalet Genevieve sleeps 10/11 people in twin/double and one triple bedroom all with en suite or private bathrooms. 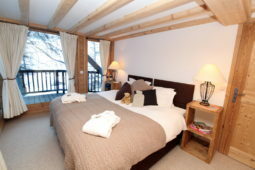 On the ground floor is a roomy lounge/dining area that opens out to a large, south-facing terrace with a hot tub. The lounge is a perfect place to relax at the end of the day, with plenty of space to sit and chat, or find a quiet corner to read. 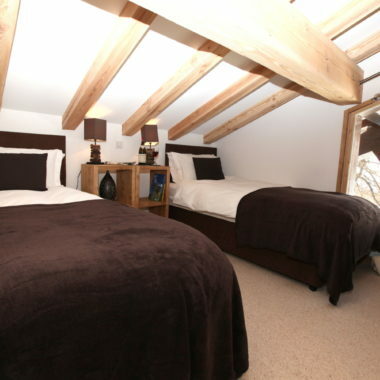 The bedrooms are detailed below. 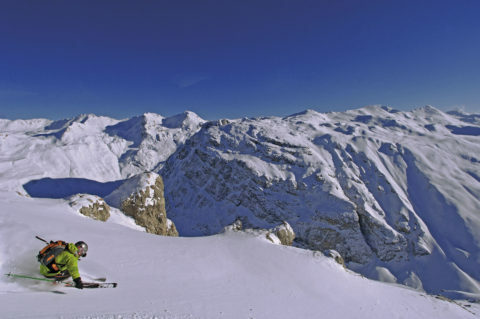 300 km of slopes, free-ride itineraries, a snowpark, a high altitude and an outstanding geographical situation combine to provide something for everyone, including children and beginners. 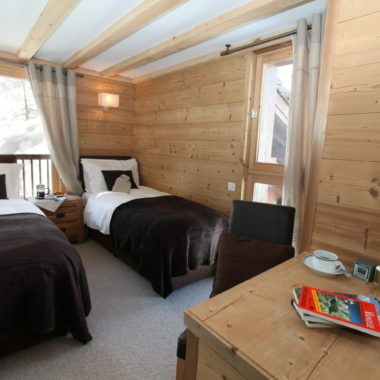 Bellevarde, Solaise, OK… Val d’Isère’s slopes have always been the setting for great sporting achievements, be it for the Olympic Games, Criterium de la Première Neige or World Alpine Ski Championships. 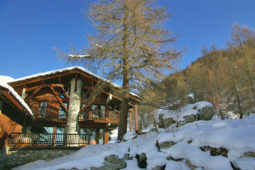 Relaxing or adventure, summer in Val d’Isère offers many activities. 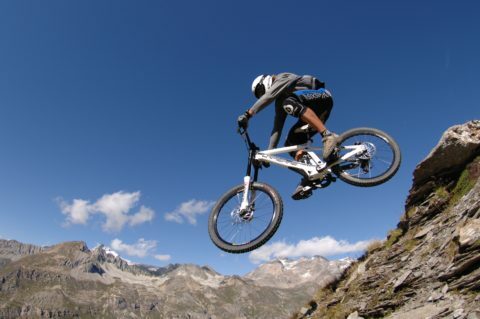 Hiking, mountain biking, cycling, climbing, via ferrata, and of course summer skiing. Thank you for a fantastic week, the food has been unbelievable!! Sorry I have been so messy. Thank you so so much for giving us such a wonderful Chrismas week. 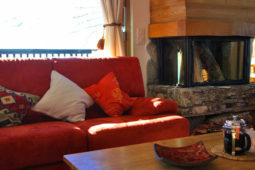 You looked after us all so well in your cosy, welcoming chalet – no mean feat with a houseful of eleven demanding guests yet you both managed to have a smile on your faces the whole time, when you would probably much rather have been curled up on the sofa in front of the fire yourselves, like us lazy lot! The meals you provided were all delicious, as were the cakes and we are already missing the freshly squeezed orange juice every morning. Many thanks for a superb week, we have all thoroughly enjoyed ourselves. 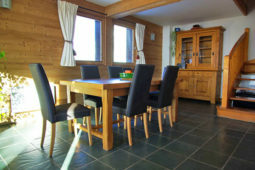 You have a beautiful, spotlessly clean and very friendly, welcoming chalet. You have gone to such an effort to please us all – it’s been hugely appreciated.